1. All types of National/State/University Merit Scholarships are available to the students provided they fulfill the necessary conditions. Scholarships & stipends are granted to all the deserving and meritorious students. 2. Scholarships/stipends/concessions to Scheduled Caste/Scheduled Tribe and Backward Class students are disbursed as per the rules of Government of Haryana. 3. Ten scholarships are given to the needy and meritorious students by Sh. Romesh Chand Ji, Trustee, Deva Trust, Bavna Road, Jagadhri. 4. 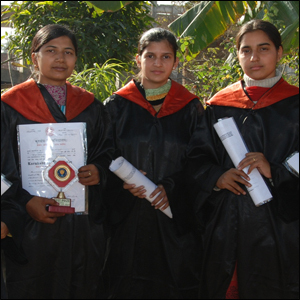 Scholarships are given to needy meritorious students by Dr. Radha Krishan Foundation Fund of Kurukshetra University, Kurukshetra.